In today’s world of fast-evolving fashion, men’s casual attires have crossed the boundary of casual occasions and formed hybrid liaisons in the form of “business casual” & “smart casual” dressing. Hence, buying casual clothes, specially, casual trousers, is not a casual affair anymore! There are a few things to keep in mind while choosing a pair of casual pants for yourself or for others. It’s important to know about the various styles of casual pants available, so that you can decide which style you want to buy. 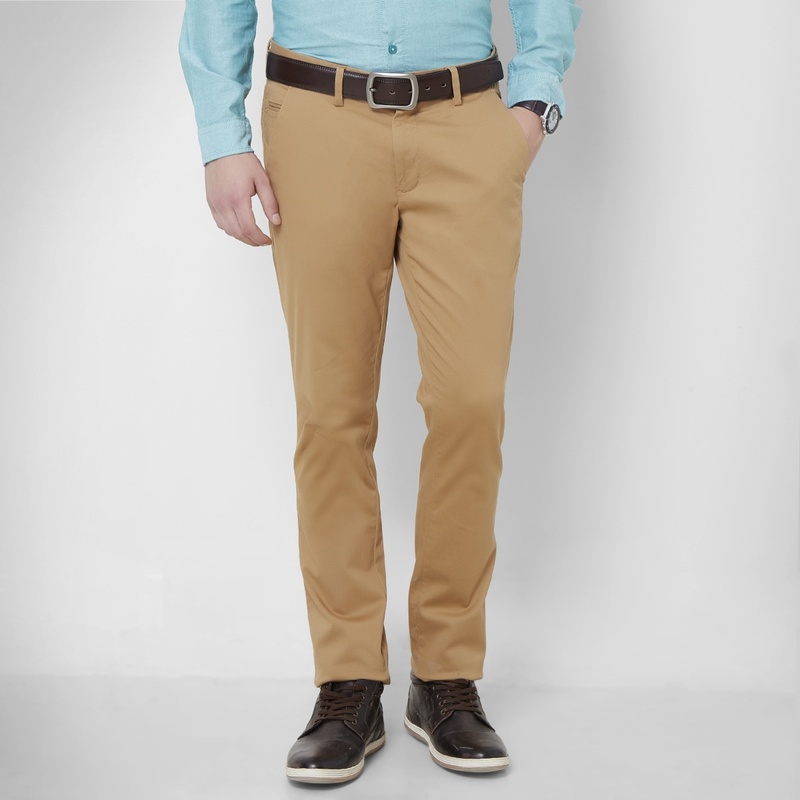 Be it cotton khakis for Friday dressing or smart chinos for work wear; cool corduroy pants for hanging out with friends or laid-back cargo pants for a backpacking weekend trip – be clear about which style you want to pick and where you want to wear it. Once you are confident about the style you want, you can go through the collection of that particular style, without having to waste time looking through all varieties on display. 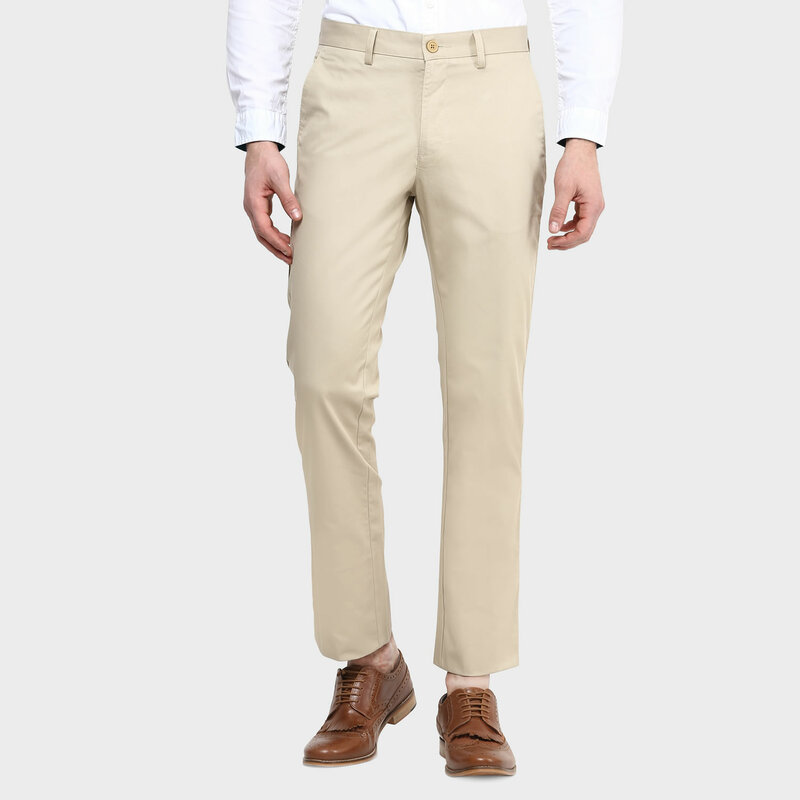 Different types of casual trousers come in different kinds of fabrics and you must have a basic knowledge about which fabric you are choosing to wear. Pure cottons are very comfortable to wear, but might shrink or give off color on wash. Cotton blends are pocket-friendly, durable, but less breathable than cotton. Linens are expensive, but cool and a treat to wear. Polyesters or synthetics are inexpensive, strong & color-fast, but might not be as comfortable as cottons or linens. Think about where you’ll be wearing the trousers & the end-use in order to decide on which fabric you want to go for. Nowadays, brands leave you spoilt for choice with their wide range of color options in whatever it is that you want to buy, so why should men’s casual pants be far behind? This category of men’s clothing now comes in myriad hues – ranging from pop colors such as reds & cobalts to earthy hues like mustards & olives and classic neutrals like greys, blacks & beiges to subtle pastels such as mints, sky blues & light pinks. Pick your color of choice according to what suits your style personality and the occasion to which you plan to wear the trousers. Update your wardrobe with a few dapper casual pants in trendy styles and fashionable colors, and you can be the style star without making much of an effort as you flaunt your stylish pants with effortless swag!